She tenderly grooms her adopted son's lifeless body, cleaning him as if she wanted him to look his best to be laid to rest. A chimp mother was found using tools in an apparent attempt to clean the body of her 'son', leading scientist to believe animals other than humans have mortuary practices. 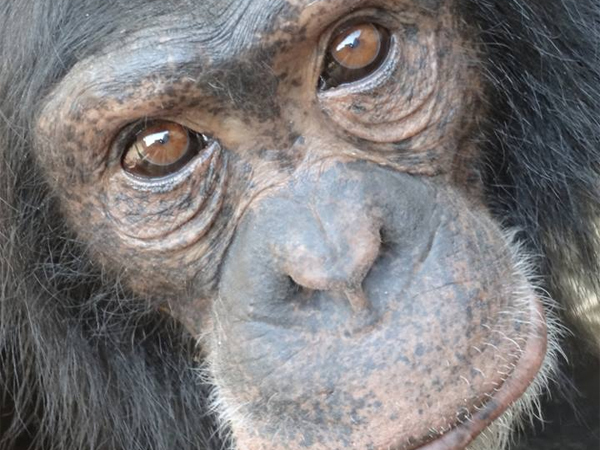 Noel, a female chimp at the Chimfunshi Wildlife Orphanage Trust in Zambia had looked after a younger male called Thomas since the death of his own mother four years ago. After poor Thomas' death, she busied herself with the body for about 20 minutes, cleaning his teeth with a grass stem. This was despite being offered food in an attempt to the lure her, and a number of chimps who also surrounded the body, away. According to the Independent, researchers published in the journal, Scientific Reports, that chimps may think of the dead body not simply as an inanimate object but as a "social being". Researchers also stated that it may be that the chimps stayed with the body to learn about death, also writing that it was "perhaps fueled by a curiosity about the unique circumstances". Thomas apparently died from a combination of a viral and bacterial lung infection.